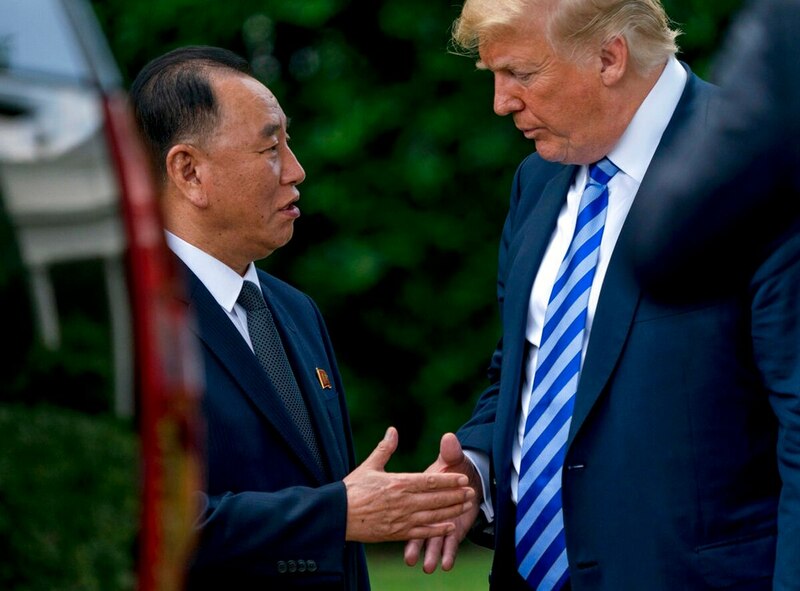 WASHINGTON — After a week of hard-nosed negotiation, diplomatic gamesmanship and no shortage of theatrics, President Donald Trump has announced that the historic nuclear-weapons summit he had canceled with North Korea’s Kim Jong Un is back on. 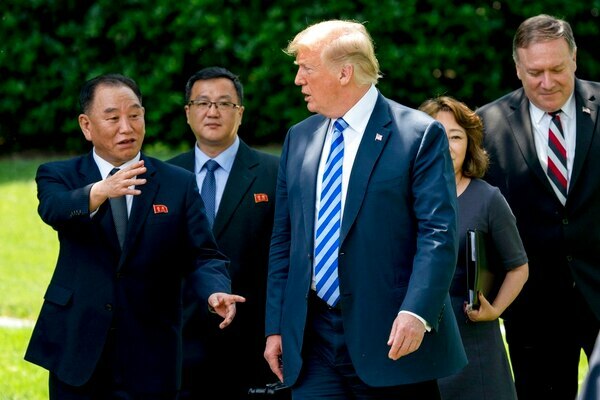 The trip began to unravel after the US suggested North Korea de-nuclearization could follow a model leading to the ouster of the North Korean leader. Trump cited increasingly bellicose statements from the North — and ignored messages about summit logistics — when he announced he was backing out of the summit in a strongly worded letter. He cited “tremendous anger and open hostility” by Pyongyang but also urged Kim Jong Un to call him. By the next day, he was signaling the event could be back on after a conciliatory response from North Korea. Defense ministers from Japan and South Korea offered very different views of the North Korean leader at an international security conference in Singapore. Japan’s defense chief urged caution in dealing with North Korea, while his South Korean counterpart said there was no reason to question the North Korean leader’s sincerity. Associated Press writers Christopher Bodeen in Beijing and Matthew Lee in New York contributed.